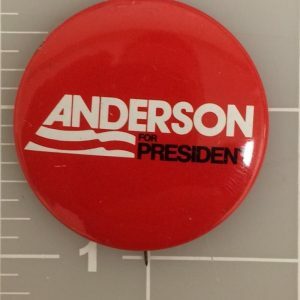 John B. Anderson was born February 15, 1922 was a 1980 presidential candidate. 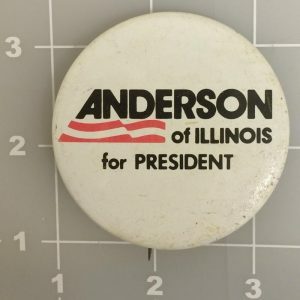 A former US Congressman from Illinois. 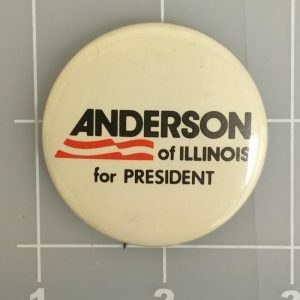 He was a U.S. Republican Representative from the 16th Congressional District of Illinois for ten terms, from 1961 through 1981. 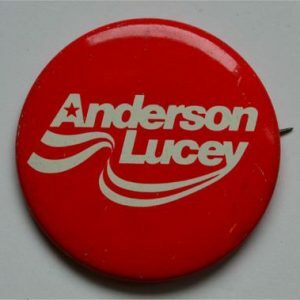 His 1980 presidential campaign ended with a landslide from Governor Ronald Reagan. 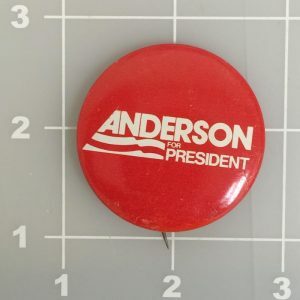 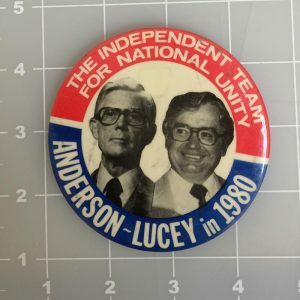 John Anderson campaign buttons are great collectibles for your collection because they are very rare and his campaign was limited to 1980.